when fenwicks had their 20% off night last week, i decided these shoes had to come home with me. 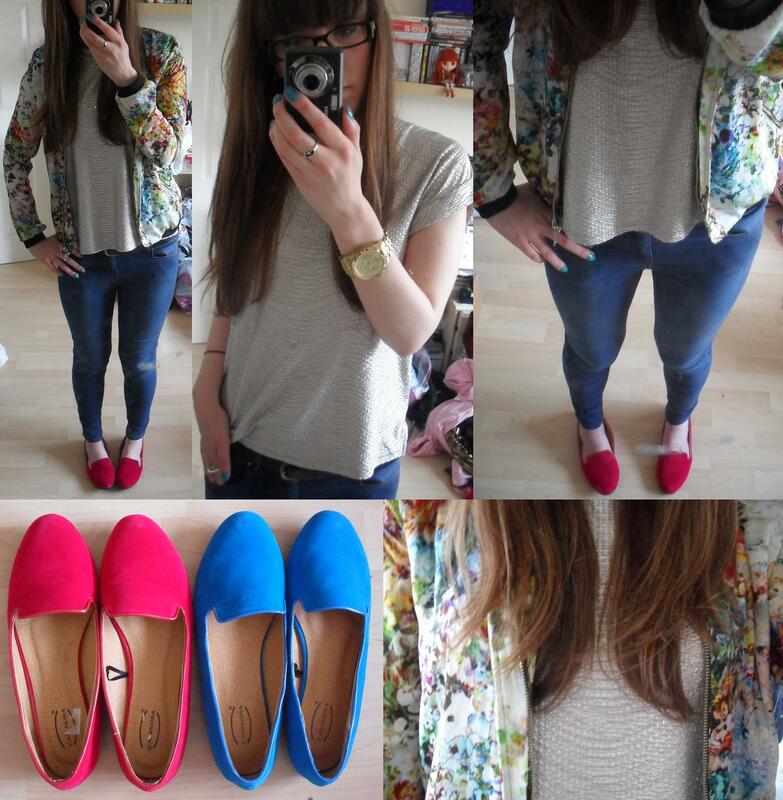 the bright colours are perfect and even better considering it was only £24 for both pairs! we’ll ignore the fact that the pink pair nearly sliced my ankles off. somehow, i feel like that zara jacket and metallic top were made to go together, fashion fate right there. i had my media law exam and i think it went ok, fingers crossed. for the rest of the day i haven’t got much planned and for once i am completely grateful for this fact. it’ll be so nice not to set my alarm for tomorrow or worry about exams. well, until i start revising for my two next week. shh. also, i have a question for you guys. do any of you have twitter?